Oriental Rugs Specialist – San Diego's most experienced Oriental rug cleaning, repair & restoration company. 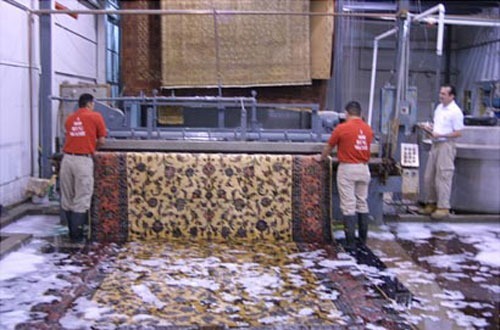 We use time-tested cleaning techniques to gently yet effectively remove pet, urine, food, wine, and other stains from all types of Oriental and area rugs, including new, semi-antique, and antique rugs, hand-knotted rugs, hooked rugs, and machine-made rugs. 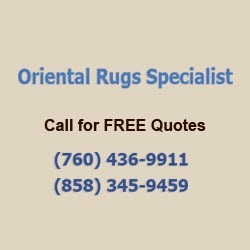 Call today for a free estimate on rug cleaning, rug reweaving, rug reshaping, rug re-fringing, rug re-dying, and other rug repair & restoration services. All of our rug services are backed by a 100% satisfaction guarantee.